Made to travel, the M-Series Pro 2 Canopy features Caravan's pull pin technology and a lightweight, enforced steel frame. Pull pins are easier to work than push pins and makes this canopy easier to set up and take down. 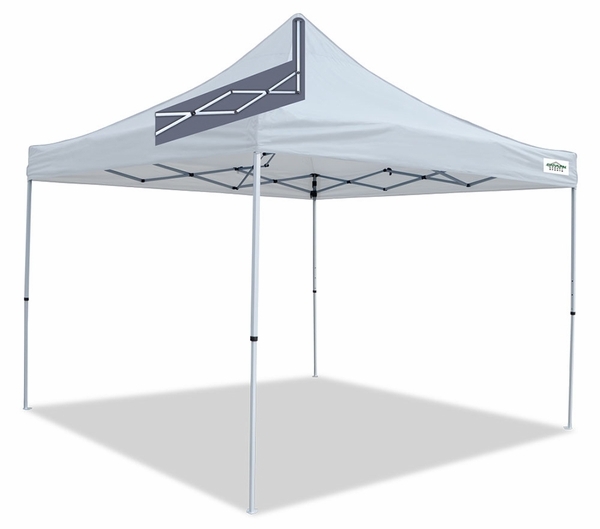 And the rising truss system, with its cross beam support and straight legs make this canopy extremely stable, especially when combined with the steel frame. Compact, easy to fold down and only 33 pounds, the M-Series Pro 2 is a great choice for outdoor events and hitting the road. 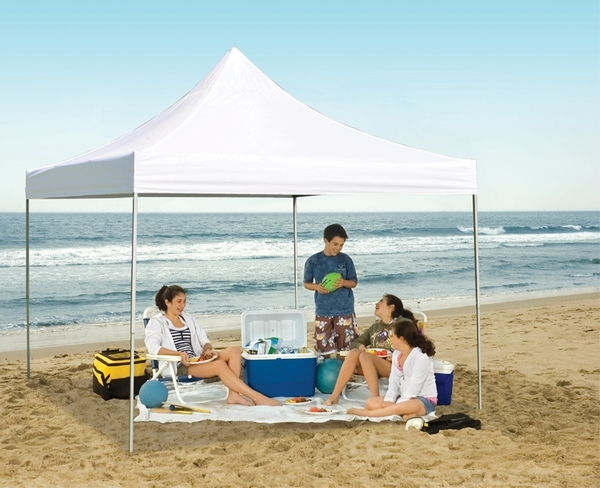 Could one person open and set up this canopy? I wan to be able to travel with it for craft shows and I may traveling on my own. What are the dimensions of this when folded down? The folded down dimensions of this canopy are 53 inch long x 10.5 inches x 10.5 inches. What is the denier of the top? The top is 150 denier. 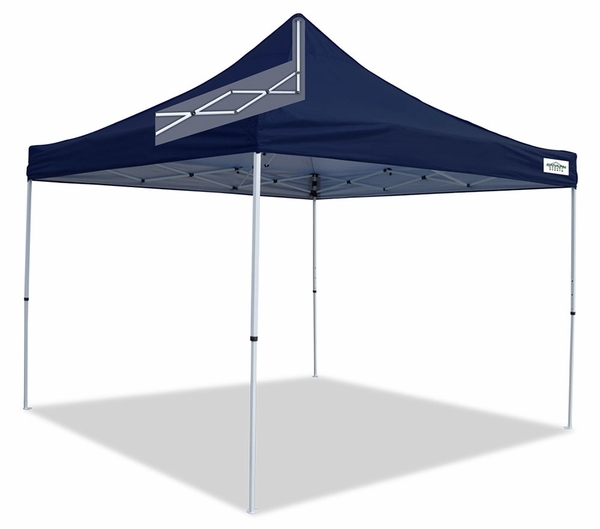 What colors are available for this canopy? It is available in blue and white. Used this tent maybe 9 times and the canopy has already torn at one of the seams. Nobody treats their tent as gentle as i do and it still is coming apart. 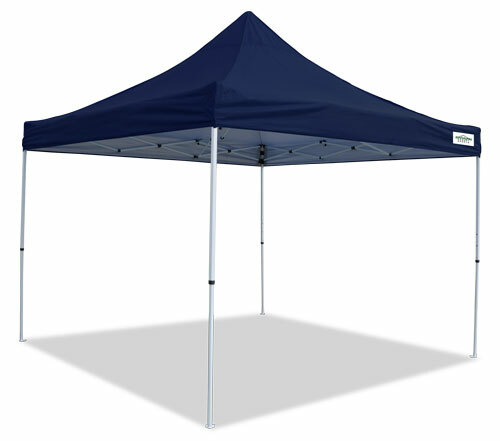 The canopy is too small for the frame and it puts undue stress on the seams therefore it tears. Arrived intact, well packaged & in good time. This is the 4th Caravan tent we've bought & although the quality is not as good as the 1st, it's still the sturdiest instant tent on the market. I just wish it came in lighter blue or other colors without having to pay a premium. ProsStable, sturdy truss, easy to raise & lower with 2 people, manageable with 1 person, replacement canopy only available without having to buy a new frame, good value. ConsThe canopy fabric is not as tough as it was 12 years ago: many pinholes appeared after the 1st use along where the frame folds (Hint: take the top off after every use!). Duct tape and packaging tape will take the finish off the frame, requiring a rust prevention spray on exposed metal. The white top is easily stained & difficult to clean. I had this item for one year, the cover tore at the top and then it tore at one Velcro connection making it useless. It is a very light weight fabric and there is no replacement for the cover. Too bad because it is was a good shade unit. Easy to set up, good price.